Originally published under the title "Yemen and U.S. Policy: Serious Rethinking Is Imperative." 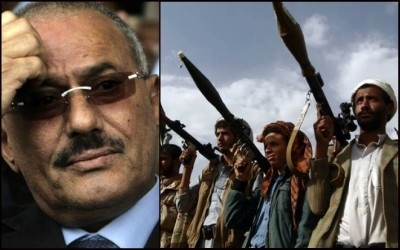 Saudi Arabia is intervening in Yemen against an alliance between the Zaydi Shia Houthi movement and former President Ali Abdullah Saleh. A withdrawal of U.S. support for Saudi intervention in its current form is long overdue. There is little sense of what Saudi endgame looks like. Yet there is little sense of what the endgame looks like beyond those goals. Once an observer begins to delve into more granular details, an immediate problem that emerges is a divergence in the approaches on the ground adopted by different members of the coalition of Arab states intervening in Yemen. Whereas Saudi Arabia supports the Hadi government and the so-called "legitimate forces" associated with it (e.g. Yemeni army elements loyal to that government and some Salafi militias involved in the fight for the Taiz area against the Houthi-Saleh alliance), the United Arab Emirates (UAE) has trained and organized some militias that do not answer to the Hadi government. 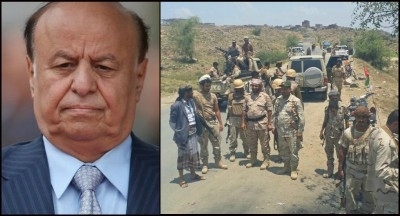 The UAE-trained Security Belt forces do not answer to the Saudi-backed government of deposed President Abd Rabbuh Mansur Hadi. Indiscriminate Saudi airstrikes and restrictions on the entry of aid entering have been met with mounting international opprobrium.